Who was Susanna Smith? I know that she was my 6th great grandmother, but her name, the date of her marriage and her death are all I know. By looking at the village in which she lived and the era that she lived in I think I found an answer. It is in the small village of Barkby, that lies just south of Syston and four miles south-east of Leicester, that we first meet Susanna Smith. Susanna is the last of my Smith ancestors, where she came from, who her parents were and where they lived, is at present, a mystery. If you take a stroll through Barkby today and take away the cars, the telegraph poles and satellite dishes you will find it much as it was centuries ago, you will still see the village's babbling brook, brick footbridge, framework knitters cottages, and it local public house (parts of which date back to 1245.) Susanna first appears here (in records at least) in the early part of the 18th century, as a single woman alone in the village with no family. Are you named Smith, do you come from Leicester? 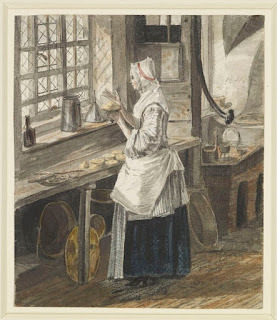 If so you may be interested in my latest blog on my website, the introduction to this family - the enclosure and the Industrial Revolution would affect my ancestors. The County of Leicestershire covers an area of eight hundred and thirty two miles and is divided into eight districts, including the City of Leicester, which sits at its centre. Leicestershire has long been associated with farming, engineering and textiles. It was agriculturist Robert Bakewell who farmed just outside Loughborough, who was cited by Darwin in his Origin of the Species for his work in selective breeding. In John Taylor's Loughborough Bell Foundry, Great Paul, Britain's largest cast bell, that now resides in St Paul's Cathedral, was made. The stocking frame invented by William Lee in 1589 would appear in Leicestershire homes at the very beginning of the 17th century. This stocking frame would create employment in the county right up to the present day - interestingly, at the time of writing the textile company Wolsey, established in Leicester in 1755 and one of the oldest existing textile companies in the world, closed it factory. 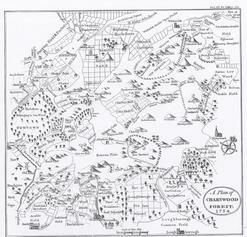 The district of Charnwood is an area that lies to the north of Leicester, it takes its name from the Charnwood Forest. It is the home of coal mines and the aforementioned stocking frame industry, and it is in this one district that a quarter of my paternal ancestors originated. The villages in which my ancestors lived surround the forest. Lying on the forest’s north-west side are the mining communities of Thringstone, Whitwick, Colorton and Swannington, to the north-east are the towns that are associated with the framework knitting industry that of Loughborough, Syston and Wymeswold. Just over thirteen miles to the south-west lies Hinckley (a separate district that is combined with Bosworth) that too is associated with textiles. The Manor of Meavy, Devon. 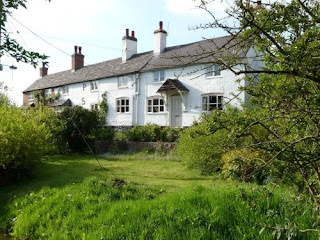 Compared to the size of the manor houses of the Tudor period, the 13th century manor house of William and Gilda Meavy was quite small, a farm house really, but a good example of what money could buy within the social group the Meavy’s belonged. Meavy house had its new great parlour, the next step up from their Anglo-Saxon great hall, that was still the focus of the family's daily life. It was in this period great that halls began to develop in every kind of residence, from the likes of the Meavy’s home, to the merchant houses and the castles of their lords. Interestingly, the great hall has continued to be an important part of the English home, today we often refer to an old manor house as a hall, even the area that joins our entrance to the rest of the rooms within our own homes is called a hall. The Meavy’s home would grow and increase in size as the years passed, but still a smaller version of the manor houses of the those who were wealthier and who had been rewarded for deeds done on behalf the the crown. The size of the house would reflect this, a way of impressing your importance on other members of the nobility; the grander the manor the more self-important a lord would feel. The growth of the manor house can be seen up and down the country, Charnney Manor house in Oxfordshire, Stokesay Castle in Shropshire and Ingtham Mote in Kent are all fine examples of the progression the the manor house, and as each successive generation took up residence the bigger the house became. As a family, the Meavy’s would reach their peak in the reign of Richard II, the family home however would continue to be improved until the reign of Elizabeth I. Of Land and Sheep and Primogeniture. 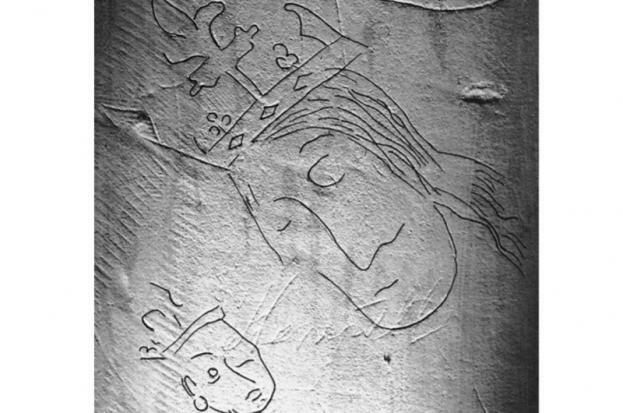 In the latest installment of the story of my Devon ancestors, we find them living under the rule of King John and his son Henry III. 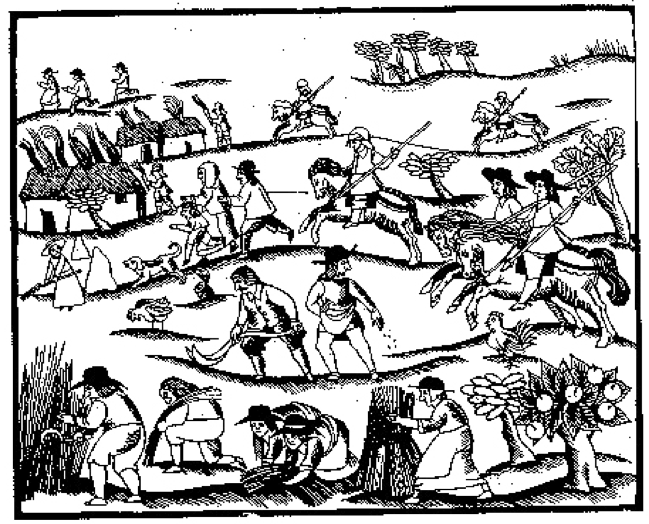 It has been estimated that in the 11th century there were only 27 persons to the square mile in Devon, and it stood thirteenth in the country in order of density of population. 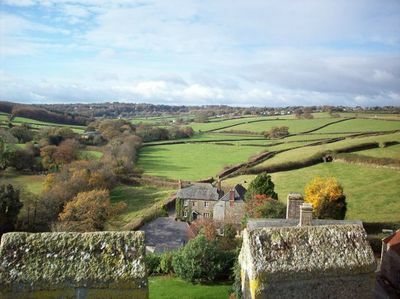 Devon was underpopulated, underdeveloped and poor. However, the 12th and 13th centuries were periods of immense change. 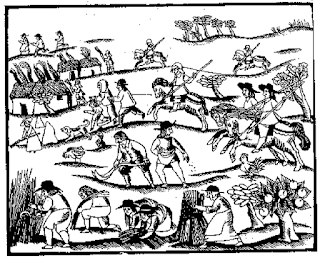 Free movement of peasants who had land granted to them by their lord increased the number of new settlements. During the reign of both Richard I and King John we see these freehold estates turning into what we know now as parishes. The hamlets of Hoo Meavy, Good-a-Meavy, High Meavy, Maker Meavy and Meavy itself would all be regarded as a parish, and by the beginning of the 13th century they would have a new lord over them. Who he was is a bit of a mystery. This mystery man's wife was my ancestor Gilda, a lone daughter with a reasonable inheritance, she was born into a time of tension and favouritism within the royal family, this favouritism threatened to be exploited by a foreign power, that left unchecked, could plunge the country into chaos, however the sons of Henry II managed to achieve this all by themselves, without any outside help. The death of Henry in 1189 left the country in the hands of his third son Richard, a continuous thorn in his side and who, along with two of his brothers, had taken up arms against their father whom they sought to dethrone. Richard’s death, ten years later, in the arms of his wailing mother, left John to pick up the pieces and run the country on an empty treasury.